My brother-in-law once told me that the deeper that sorrow carves into your being, the more joy you can contain. Perhaps it is because you understand the blessing of one more kiss, one more day that you get to look at your son and one more day that you get to hold him in your arms. John Charles Wolf IV or “Jack” was born on May 6, 2005 to his parents Paige and John Wolf III. He blessed the earth for five weeks but his memory will live on for a lifetime. The Jack Wolf IV Memorial Foundation was started to honor the memory of Jack, the hospital staff that became like family and the other NICU families that have shared in the same highs and lows. I learned of Jack and his battle with osteogenesis imperfecta shortly after he was born. My phone was flooded with texts and pictures of the tiniest baby wrapped up a like subway sandwich. Paige’s little brother, Jay, had kept me updated on his nephew’s condition. Jay and I had dated for five years and went to high school together. Our families still live in our hometown of Lufkin. Even though we were not together, he messaged me from time to time. It was usually with sad news. I loved his family and I was happy that he was thoughtful enough to let me know when his grandparents had passed and that he wanted to tell me about Jack. This December will mark three years since Jay’s passing. It was sudden and devastating for his family. Ryan and I attended the funeral in our hometown. I remember walking into the foyer and seeing a black picture board with family photos that I had taken. I had made that picture board for Jay while we were dating. When I saw his sisters Paige and Ashley, I smiled as best I could trying not to cry. As soon as I saw his mother, I lost it. She held on to me so tight and then his dad wrapped us all up and we all stood there crying. It is funny how your life turns and moves you from one place to another. We moved to The Woodland in June of 2016. I had always thought that one day it would be nice to be part of their annual Jack Wolf Golf Tournament. I had seen pictures posted by Jay and his family for years. Paige and John have hosted golf tournaments to raise money for the Jack Wolf IV Memorial Foundation for the past ten years. The golf tournament is held at West Forks Golf Course in Conroe, only twenty minutes from our house. This May I volunteered and had my husband and his friend represent their companies. It was emotional, amazing and encouraging. Johns cousin Amanda and I were beverage girls on Hole 11. We asked each team how they became involved in the Jack Wolf Tournament. Their stories all had the same theme of support and love for Jack’s parents. Most people we talked to had known the Wolfs for years and shared in their emotional rollercoaster during Jack’s life. Paige is so strong, how she does it all I will never know. I am sure it has everything to do with her family and the supportive community that she and John have gathered. Their community will also do anything for a cold one. Click here for a video of this year’s tournament. Through their golf tournaments and fundraising, they have raised and donated $23,000 this year and $150,000 over the past 11 years to Memorial Herman of The Woodlands. During their stay in the NICU, Paige and John saw a need for a park. Their nieces that would visit and had no where to play while visiting their little cousin. The Jack Wolf IV Memorial Foundation Park was completed this time last year. I am truly grateful and honored that the Wolfs trusted me and my family to keep Jack’s memory alive. The Great Pumpkin Market was hosted at Wild Stallion Vineyards. We had over 40 shopping vendors, community business that displayed their talents, Familyy ATA Martial Arts provided a demonstration and Boni’s Dance School performed their Nutcracker ballet. We sold over 700 tickets and had nearly 1500 people in attendance, including volunteers and vendors. We were overwhelmed by the support of the community. Mari-Mac Designs and The Great Pumpkin Market will continue to support Jack’s foundation and his parent’s efforts to celebrate their son as long as they will let us. I am blessed to still have their family in my life. 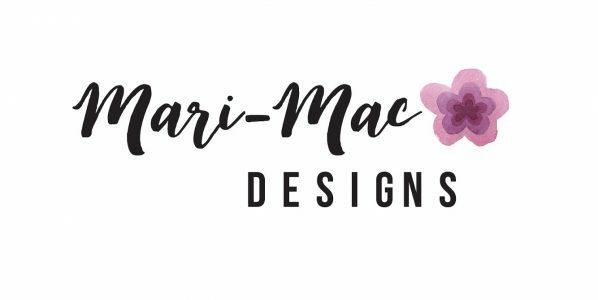 Mari-Mac Designs and Drone FX Pros proudly raised over $4,000 to donate to their organization and for Hurricane Harvey Relief efforts. The easiest way to become rich, is make other’s lives richer.